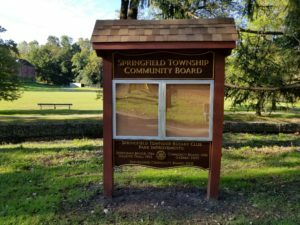 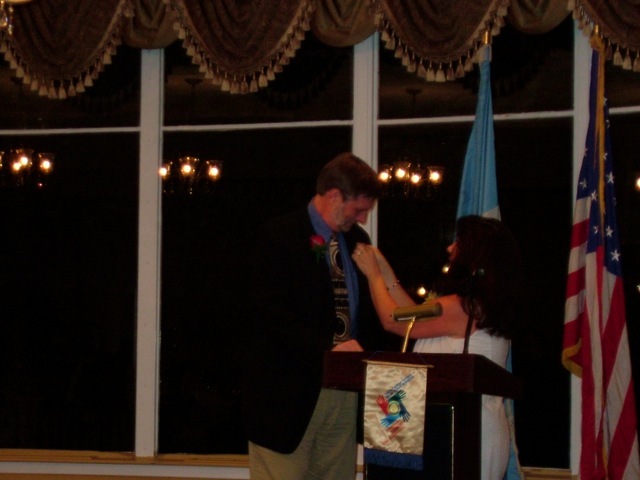 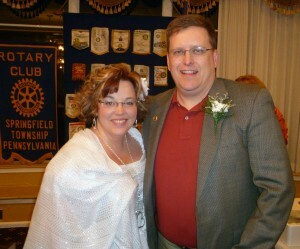 The Rotary Club of Springfield Township is pleased to announce the induction of our newest Member Rev. Carol Ficken of Grace Lutheran Church in Wyndmoor. 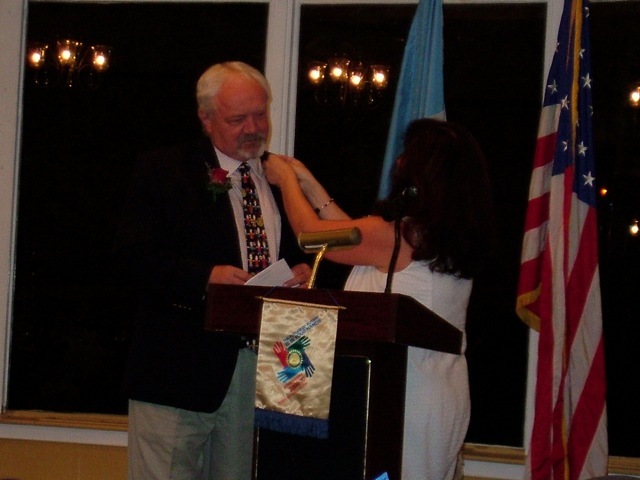 Rotarians embody the spirit of their motto “Service Above Self” and undertake numerous projects locally and internationally. 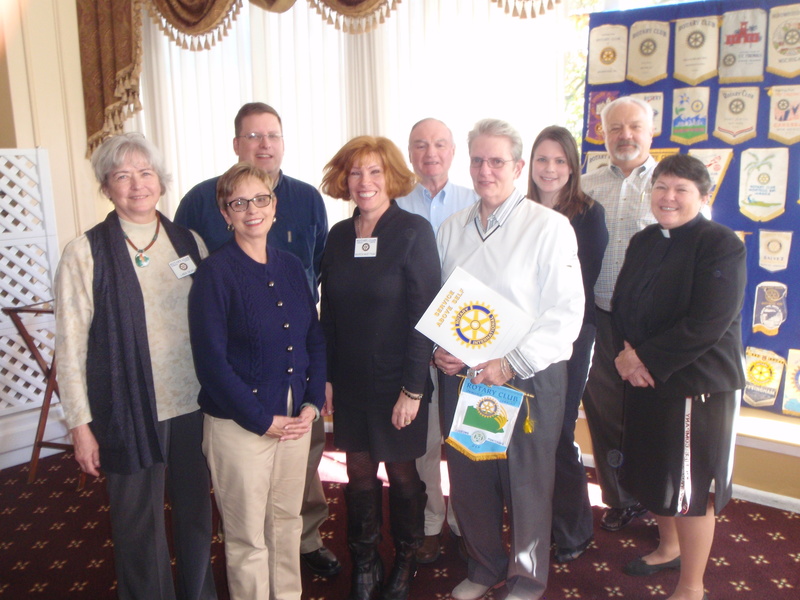 Pictured Left to Right members of the Rotary Board and their newest inductee: Linda Silva, Roseann Nyiri (Pres), Tim Ernst, Maureen McGettigan, Frank Duff, Rev. 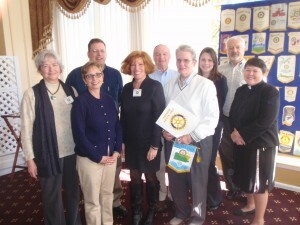 Carol Ficken, Amanda Helwig, Jack Norrie, and Sponsoring Rotarian Rev Marcia Thompson of Zion Church in Flourtown. 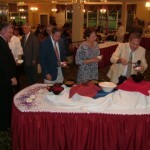 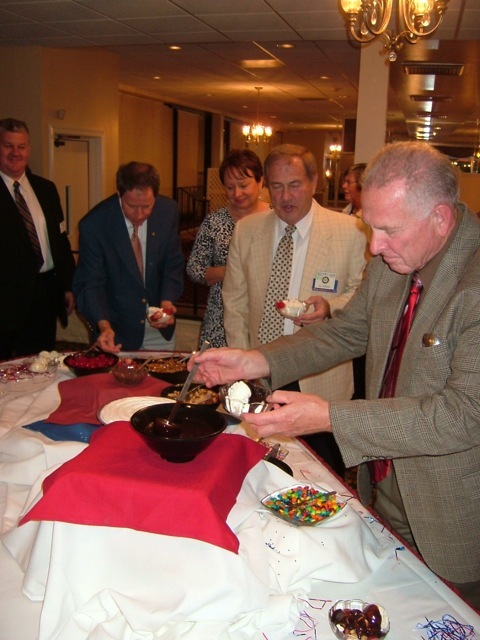 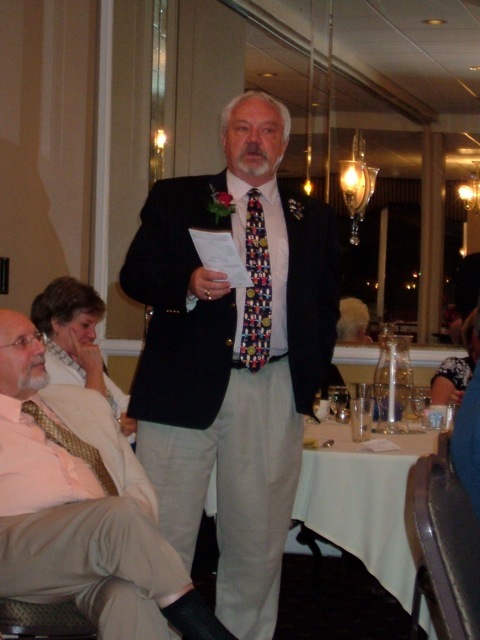 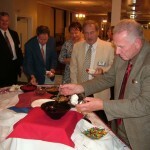 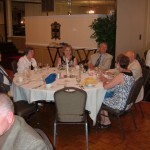 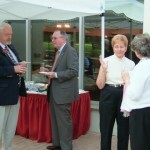 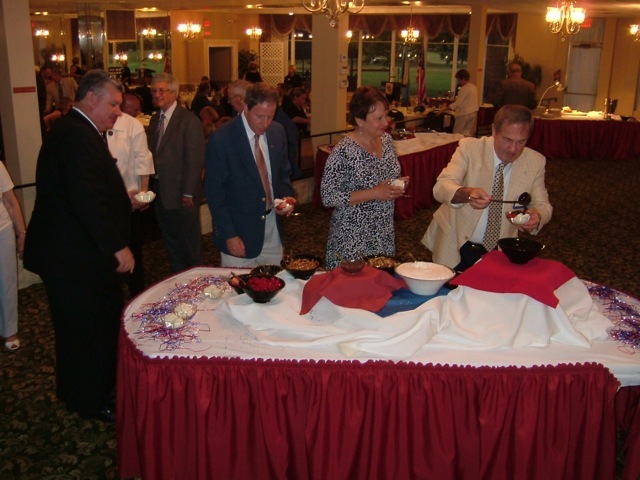 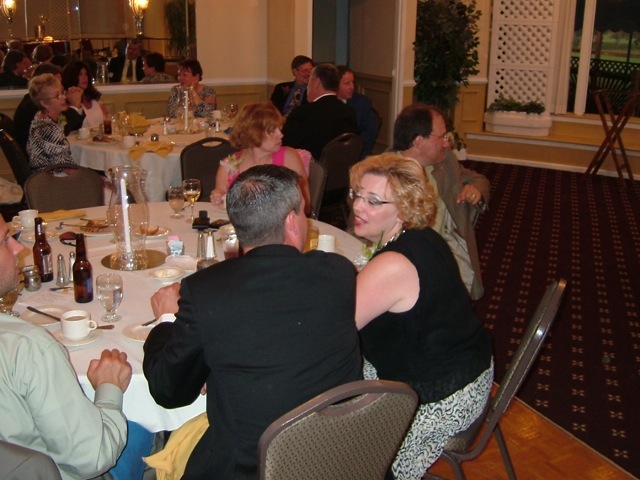 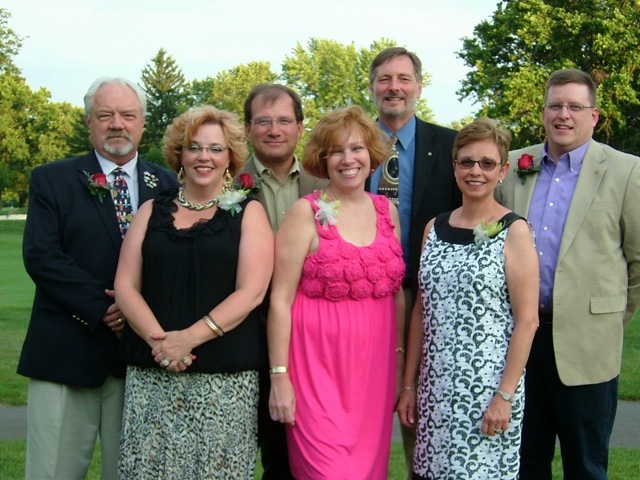 The 2011 Edition of Changeover Night was held June 14, 2011 at the Sandy Run Country Club as a celebration to honor our outgoing and incoming officers of the Rotary Club of Springfield Township. It was a night of laughter, fellowship and a few tears as we remembered several members who passed away over the last Rotary Year, including Tom Timoney and John Brady. 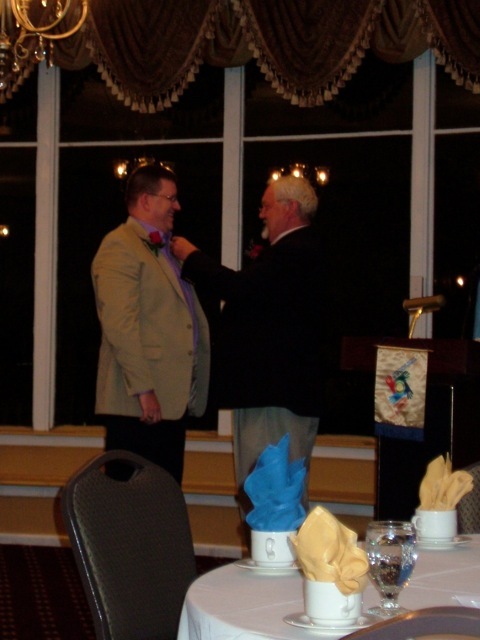 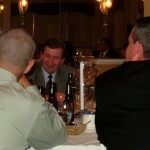 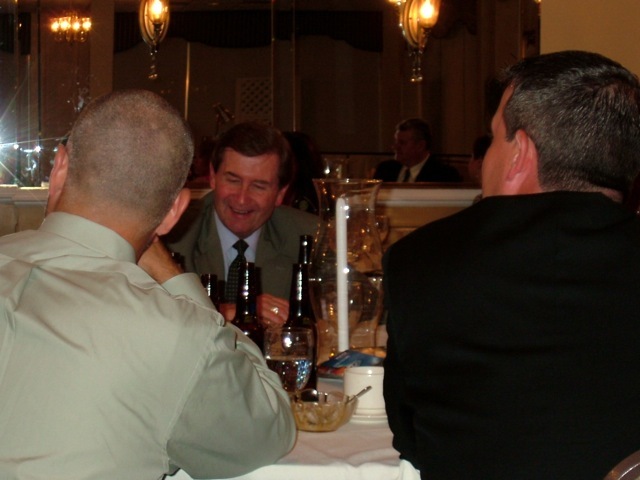 Jeff Kroberger emceed the evening and Mick Kelly, a bag piper from The Philadelphia Emerald Society Pipe Band added a touch of the “old country” for outgoing President Jack Norrie. 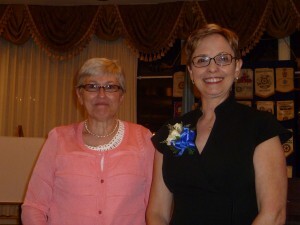 The new Board was welcomed in for the new Rotary year and incoming President Roseann Nyiri presented Colleen Robinson (below) of the Springfield Community Foundation with the 2011 Citizenship Award. 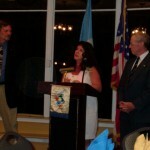 Board Member and Rotary Foundation Chair: Maureen McGettigan then explained the Paul Harris Fellow awards and that the club saw fit to award three in 2011. 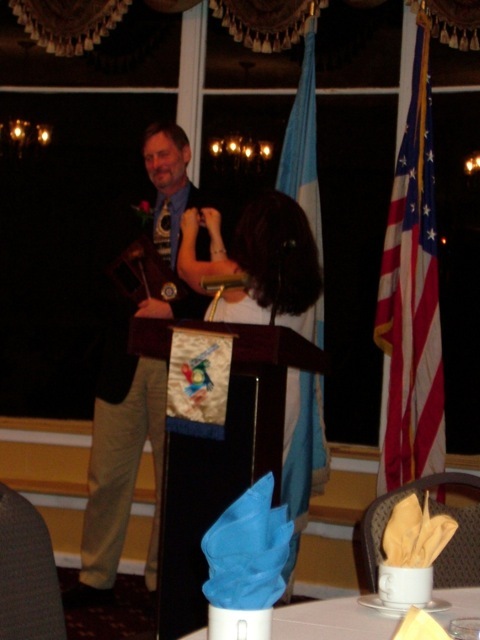 Walt Long (Presented by Mandy Helwig) – for his tireless work internationally with the Water Tower in Tanzania and his consistent support of the club locally. 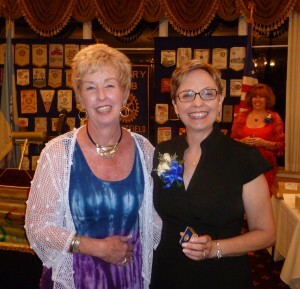 Carol Getz (Presented by Rosann Nyiri) – for her continued “mothering” of the club, planning fun fellowship events and continued support and planning of events such as Changeover Night and Charter Night. 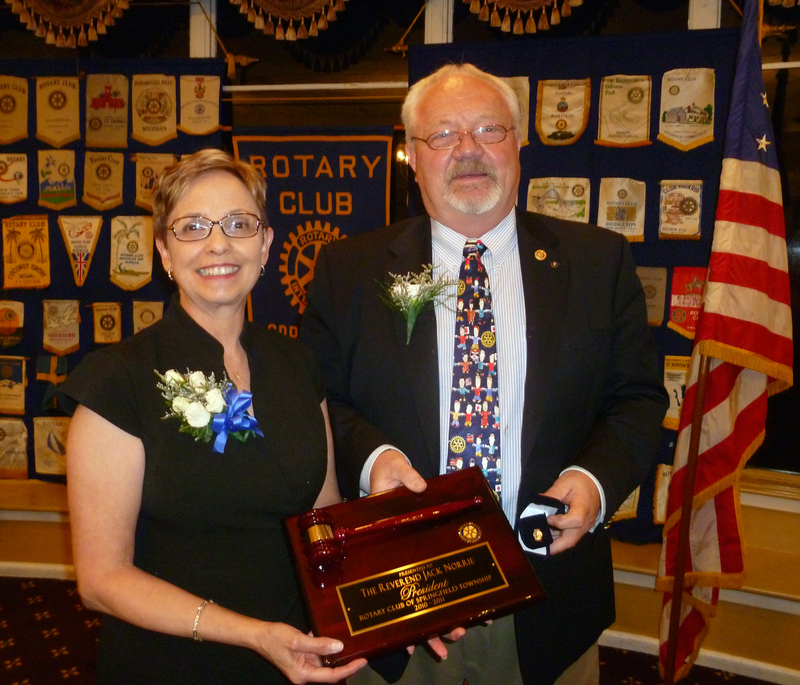 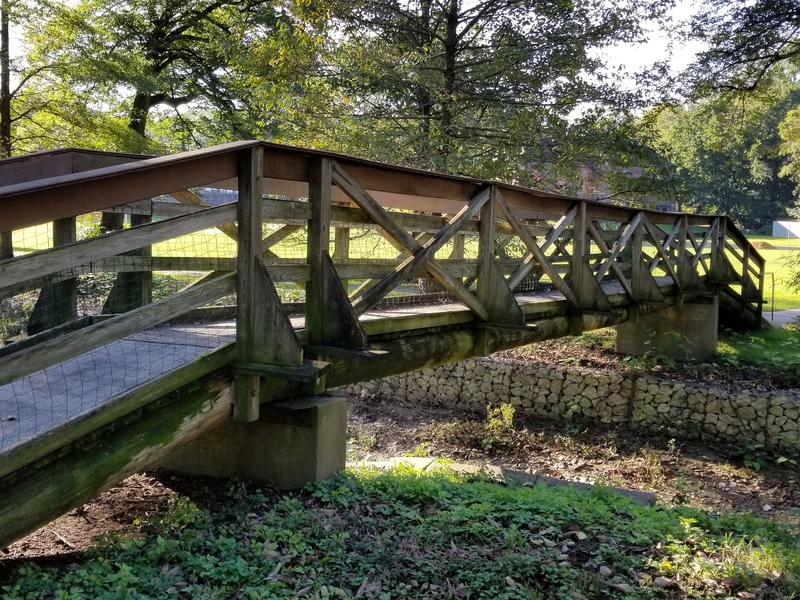 Tim Ernst (Presented by Teresa Buzniak) – for his support of Rotary projects through technology, running the email notification system for Bingo, Fruit Sale and other events and using his talents to revamp the club’s website. 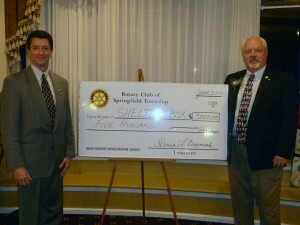 Jack Norrie, as outgoing president, made his presentation of $5,000 to Shelter Box USA, one of his goals of his presidency to Allan Syphers, a Blue Bell Rotarian and District 7430 Shelter Box Representative. 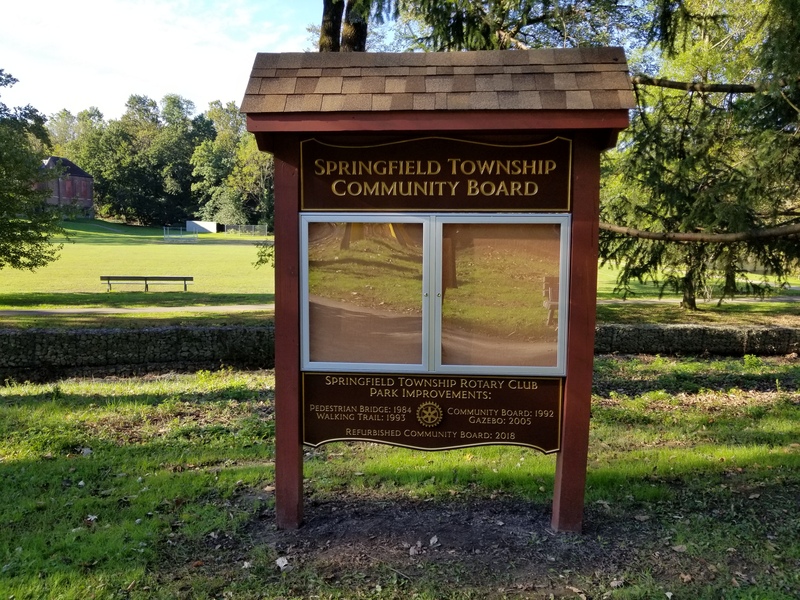 The money will be used to purchase five shelter boxes that the club can track in the future and help those in need of shelter, food and water around the world. 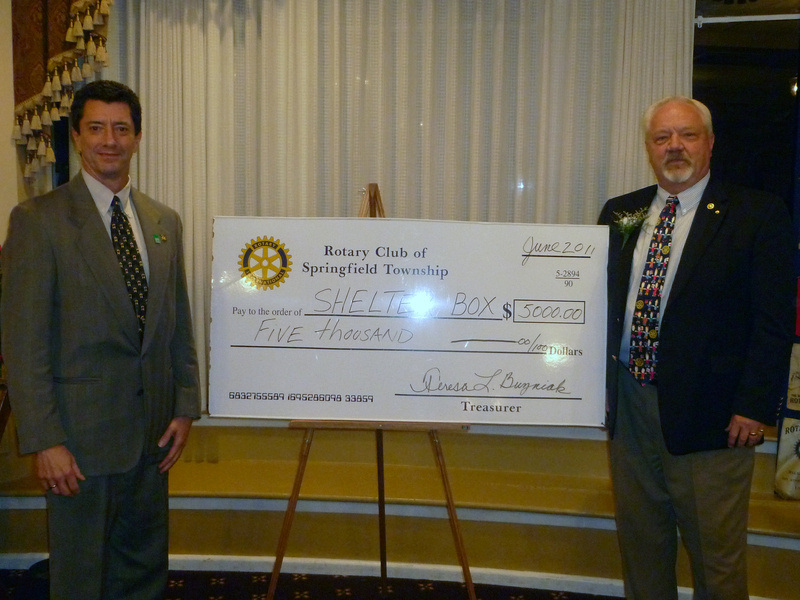 More information on Shelter Box. 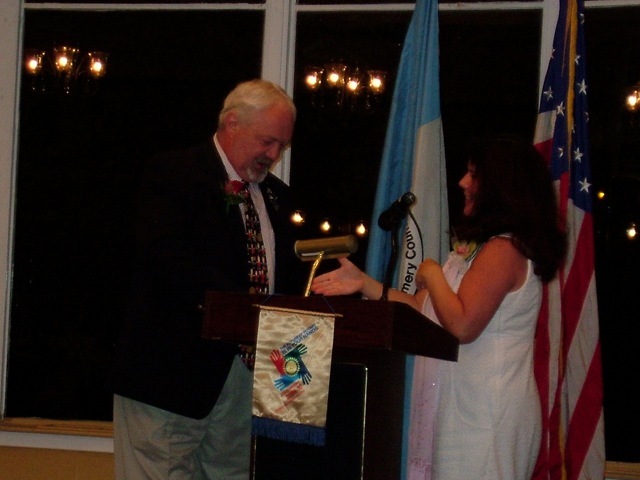 Jack also made his President’s awards to several club members who consistently go above and beyond the call of duty to keep the club running smoothly. 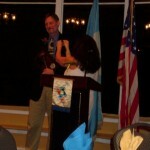 George Schaefer was recognized for his commitment to a successful Fruit Sale. 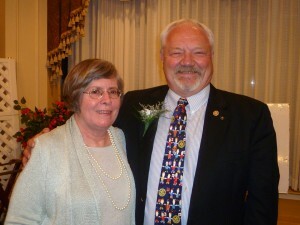 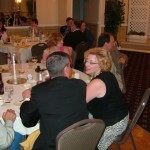 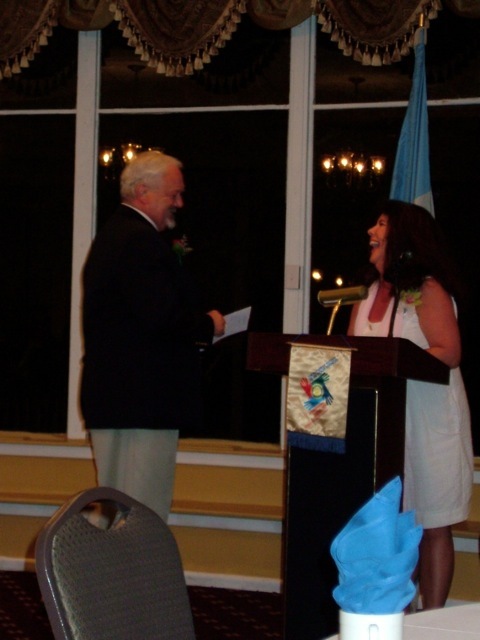 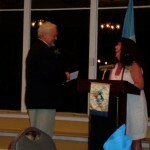 Janine Corbett (pictured above with Jack) was cited for her excellence as Program Chair. Mandy Helwig and Teresa Buzniak were awarded respectfully Rotary Secretary of the Decade and Rotary Treasurer of the Decade Awards. 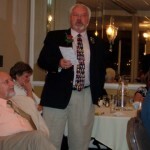 Jeff Kroberger had the crowd in stitches as he turned the tables on outgoing president, Jack Norrie and administered his own trivia quiz complete with “wiener” references and ended with a stirring tribute to Jack’s Scottish and University of Edinburgh roots with a reading of Robert Burns’ My Heart’s in the Highlands while the evening’s piper played Amazing Grace. 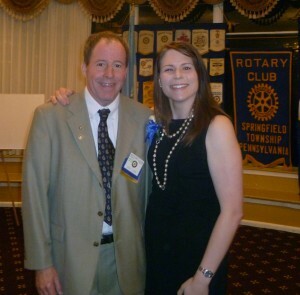 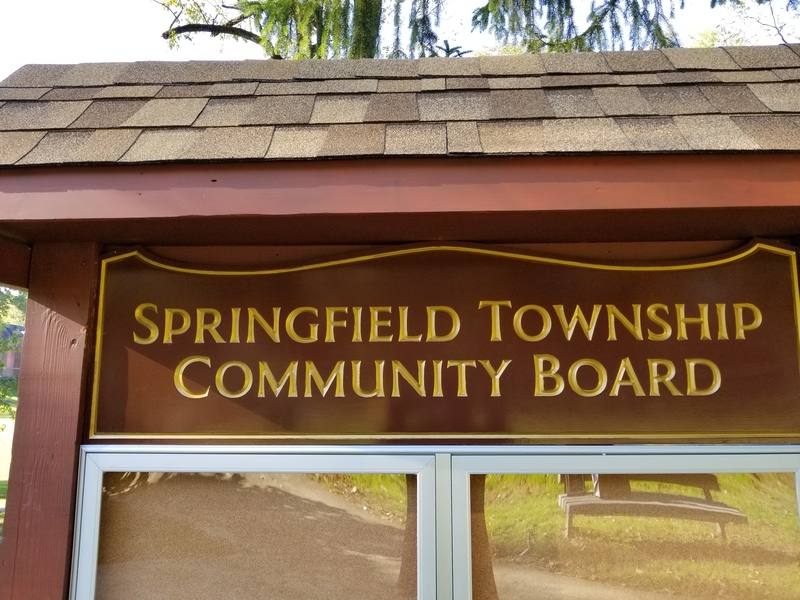 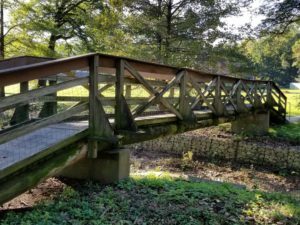 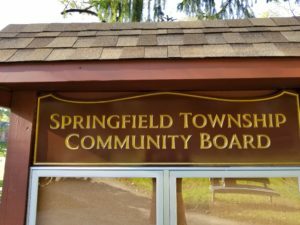 The Springfield Township Rotary Club hosted the Springfield Township Interact and Phil-Mont Christian Academy Change Over ceremony at their weekly meeting. 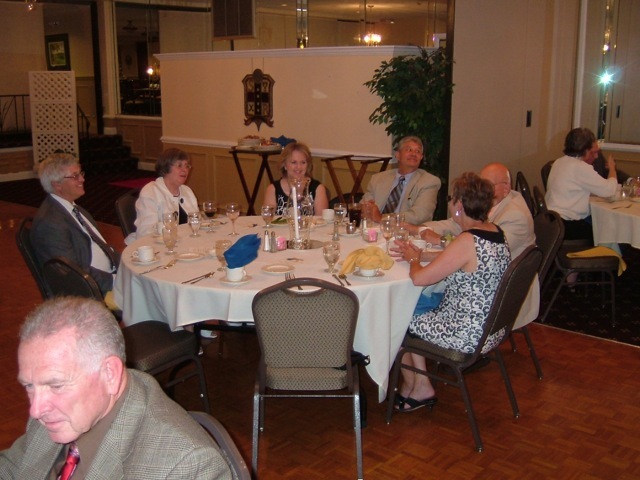 Joy L. Zwicker, Interact Committee Chair moderated the program and highlighted both clubs achievements and challenged the new board to continue the momentum as they fill the shoes of the former board. 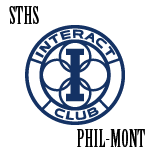 Second Row (LtoR) – Interact Outgoing Board Members: Mr. Tom Vizza, Springfield High School Interact Advisor; Maya Sabin, SHS Treasurer; Anna Morrow, SHS Secretary; Rehema Korich, SHS President; Stefan Johnson, Phil-Mont President; Jennifer Khoo, Phil-Mont Vice President; Claar Ennis, Phil-Mont Treasurer; Victoria Glover, Phil-Mont Secretary; and Mrs. Gail Frey, Phil-Mont Christian Academy Interact Advisor. 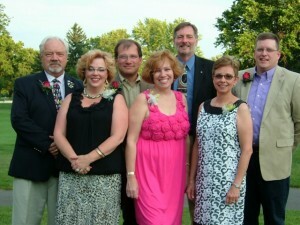 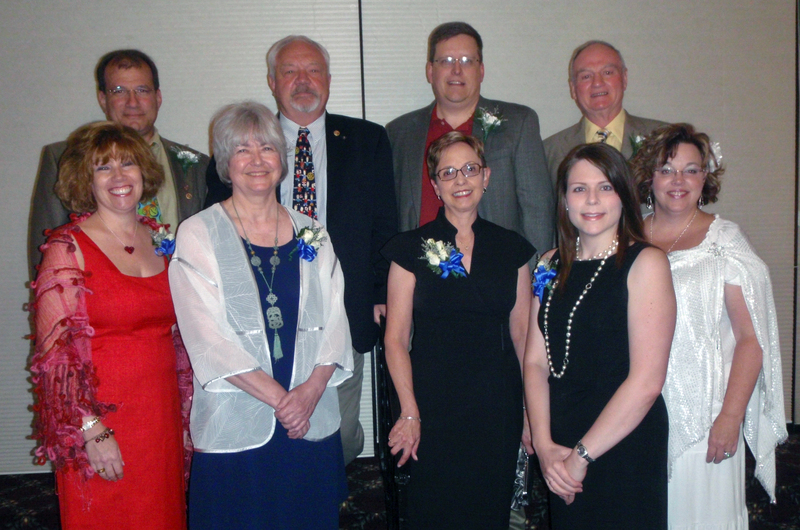 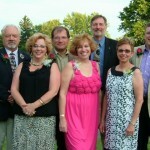 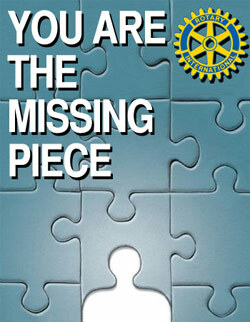 The new board and new President Jack Norrie were welcomed and formally installed to lead the Rotary Club in 2010 and 2011. 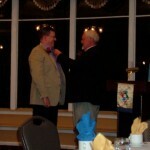 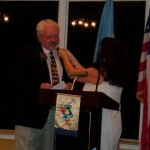 President Jim Pearce transferred power and the President’s pin to Jack Norrie. 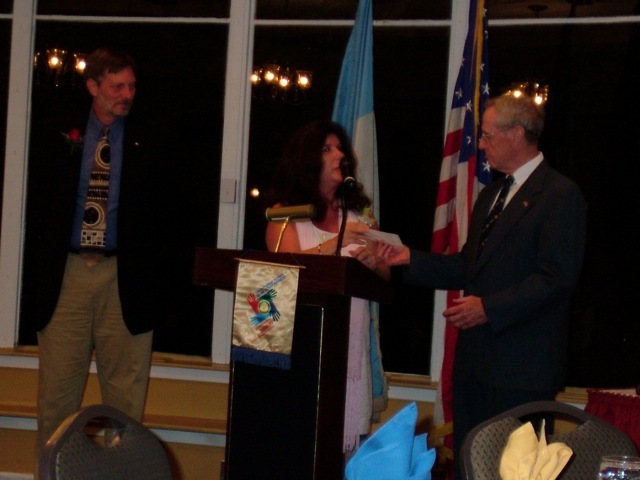 Also Assistant District Governor Joy Zwicker present a check from the club to End Polio Now – a Rotary Intiative for which the club worked all year long to raise funds, and recognized Bob McGrory for his work in that initiative. 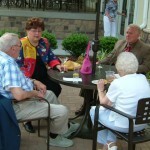 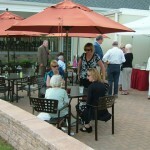 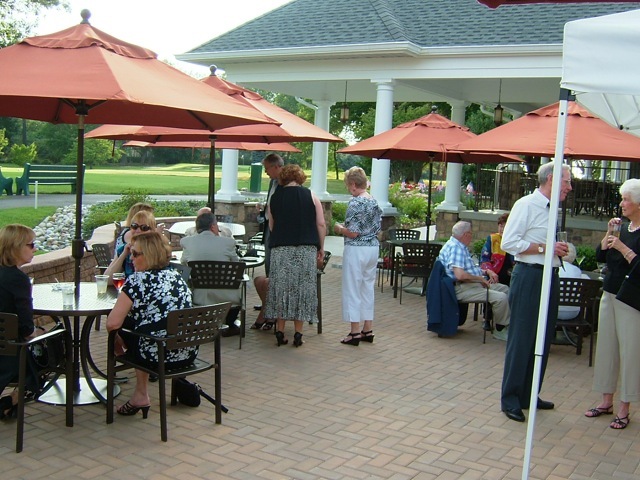 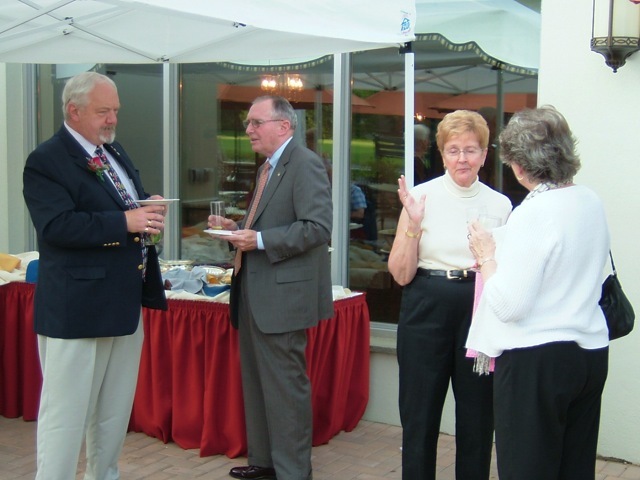 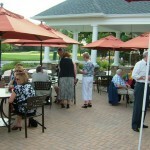 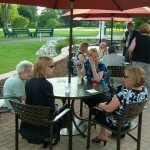 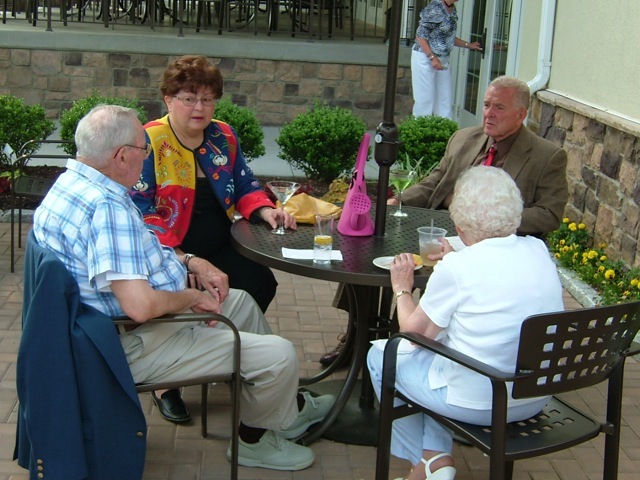 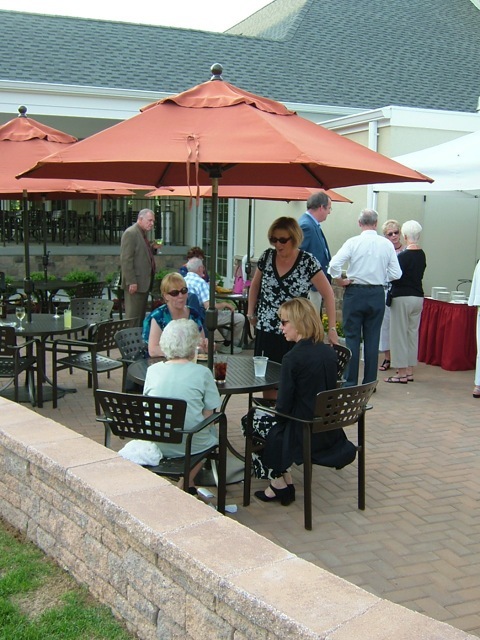 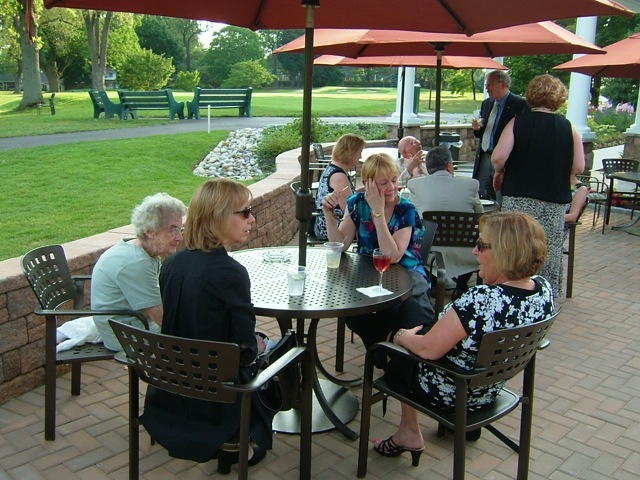 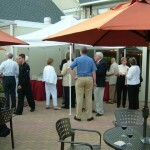 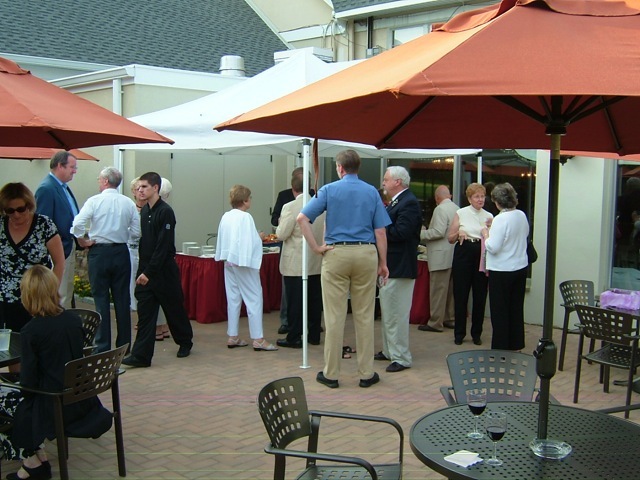 Held on a beautiful early summer evening, the event was partially held on the new outdoor deck of Sandy Run Country Club’s new clubhouse facilities.